I wrote about the Summer of ’65 in my recent post in praise of Cher. Two years later was another great Summer. I was 18 years old, with a beautiful new born Nicola Jane (Nikki) and head ‘n heels in love with my first love Barbara (Nikki’s Mum). Summer with Monika was the book I read every day for three glorious months. with far too much rain. Monika gave Frinck the slip in 1978. Whizzard Press published Roger’s poems on their own with a wonderful cover and illustrations by Peter Blake – of Sgt Pepper LP cover fame – but many High St bookshops thought the cover of a girl sunbathing naked on a bed was too explicit, so didn’t stock it (the Swinging Sixties?). 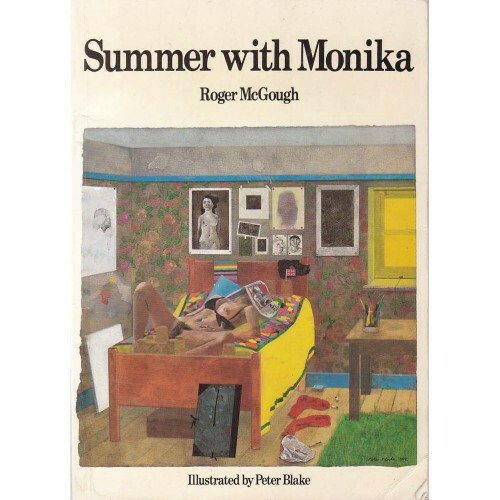 Penguin republished Summer with Monika in 1990 – with a ‘softer’ Blake cover and a 4th edition hit the shelves in 2017 to celebrate Monika’s 50th anniversary. I have copies of all four editions in my collection and reread the book this weekend on a lonesome, Livin’ Life Slow Sunday in Grasmere – in love with Trudy – and still lovin’ life. as a cup of tea in bed. I’ve spent a lifetime in Sports. As a player (Rugby, Soccer, Tennis, Track and Field, Table-Tennis), a Coach (Rugby) and Administrator (New Zealand All Blacks, USA Rugby, New Zealand Soccer, North Harbour Rugby, Team New Zealand Yachting). Five years ago I completed my second four year term as Chairman of USA Rugby, and in line with Governance terms, stepped down. I decided to take a break after 30 years non-stop in the admin roles mentioned above – and just enjoy being an All Black and Manchester City Fan. Now I’m back!! This week we’ll be announcing that I’ve joined the Board of Wigan Athletic Football Club in The Championship, England’s second tier where three clubs are promoted each year into the Premiership. Wigan (The Latics) were founded 87 years ago in 1932. They spent eight years in the Premier League – from 2005 – 2013, and won the 2012-13 FA Cup Final beating my beloved Manchester City 1/0 at Wembley. (The Latics knocked City out of the Cup again (in 2014) and again(!) in 2018.) I forgive them. They are a proud working class Lancashire team, less than 40 miles away from my home town of Lancaster. On November 2 2018, International Entertainment Corporation (IEC) Hong Kong bought the Club, stadium and training facilities. The new Board had its inaugural meeting last week, under Darren Royle’s Executive Chairmanship. Darren’s Dad – Joe, ex Man City player/manager, and Everton/England legend, is on the Board alongside CEO Jonathan Jackson, IEC rep Thomas Chan and yours truly. We’ve started by developing, with the Club’s leadership team, a new Purpose on a Page for the Club. Our Dream: To bring European Football to Wigan. Our Focus: To win Football matches. 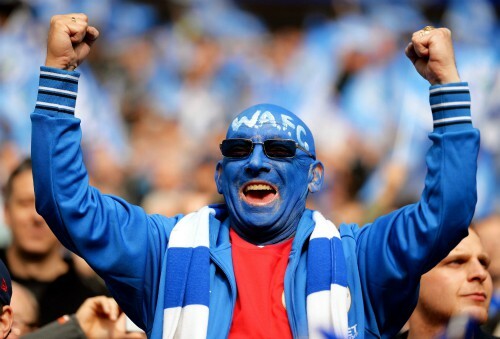 Our Spirit: We Are Wigan. We are currently 19th in the Championship. A league of 24 teams where three are relegated each year. Eight games to go this season. We must win at least two. I’ve written about John in June 2017, in December 2014 and November 2011…… Obviously I hold him in high regard – as I do Denis O’Reilly – John is heading back to New York to run a programme for Harlem’s at risk youth… here’s Denis’ farewell thank you to all John has done for New Zealand. 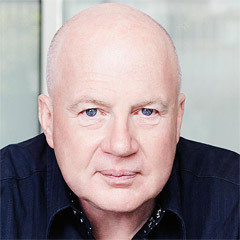 Some years ago I had a ring from Saatchi & Saatchi chief Kevin Roberts, a man I’ve always found to be inspirational, generous, and unflinchingly courageous. Seems a New York friend of Kevin’s, a guy called John Wareham, had run into a problem on our local shores. Back in New York, John had created and run a highly successful prisoner rehabilitation programme in maximum security prisons for twenty years. 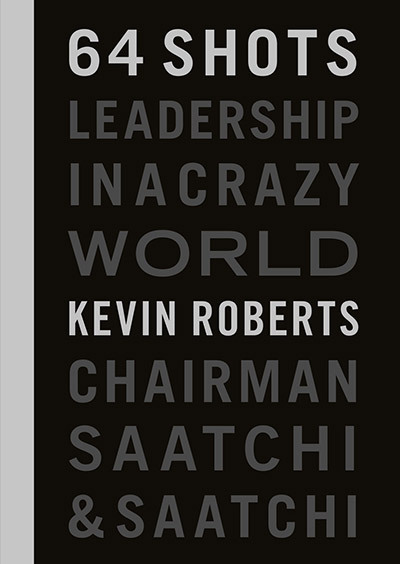 John had also just published a book on that whole subject, ‘How to Break Out of Prison.” Kevin had arranged for John to run a week long teaching gig at Waikeria Prison. But, hardly had John stepped off the plane in Auckland, than a bewildered senior Waikeria prison manager took that book title literally and cancelled the gig. Don’t let that person near the Bible. Anyway, I got that Saatchi call to see if I could put John’s time down here to good use. Brian Sweeney of SweeneyVesty and publisher of NZEDGE.COM suggested the connection. He knew Kevin, John, and me. So, I recruited a group of former prisoners and invited John and his wife Margaret to meet them in my home at Pa Waiohiki, Taradale. John did his thing and I saw the nod-meter going in his audience. He passed the test. We were going to work together. 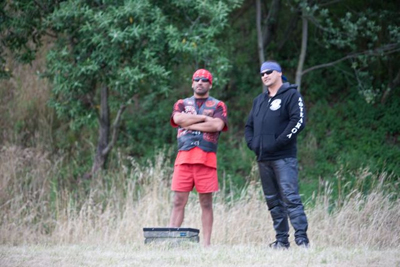 In 2005, faced by escalating gang tensions and political conservatism, supported by the Wili Fels Memorial Trust, I persuaded John to fly out from New York to create and lead a weekend retreat for three gangs: Black Power, Mongrel Mob, and the Sensible Sentencing Trust. That weekend was transformational for everyone, so much so, that the New Zealand Herald declared John a “miracle worker”. John came back again in 2011, this time to facilitate another forum. This time we gathered at the Otatara Pa, with NZ Police representatives, 30 Mongrel Mob fathers and sons, and 30 Black Power fathers and sons. 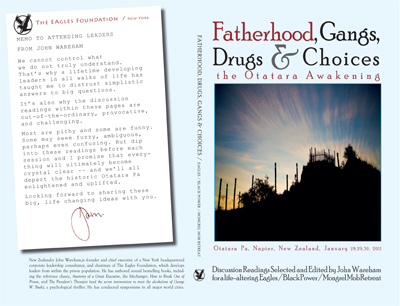 Another series of transformations followed, resulting in the creation of the ‘Otatara Accord’—a formal pact between Black Power and Mongrel Mob, which has in turn resulted in the observable reduction of regional gang violence. Another time, supported by the late Dr Ian Prior, working from the Strathmore Community Hall, Wellington, John Wareham formed a group of Black Power into a debating team. Within a week he inspired them to challenge a top Wellington Parliamentary Debating Team (undefeated for six years) to a moot. The motion was, “Pakeha Owe Maori a Decent Living” and Black Power were allocated the negative! We held the debate at the Michael Fowler Centre in front of an independent adjudicator. Not only did the Black Power team win the debate, they also had the best speaker! Wellington is blessed to have an organization called the Consultancy Advocacy and Research Trust (CART). Its core mission is to support the disposed and marginalized whanau on the social periphery. 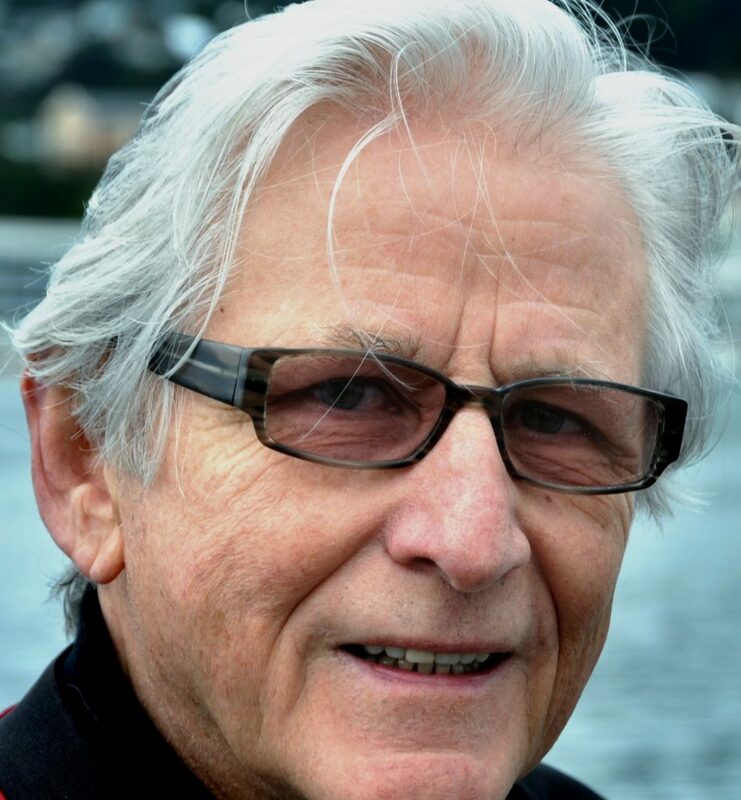 In 2015 John Wareham, and his wife Margaret, returned to his hometown of Wellington. With such a treasure at hand I naturally invited John to join the CART Board. When the health of our then General Manager began to fail, John stepped into the breach, taking over as executive manager, pro bono. One of the first things he did was to create the Black Power Film Festival. It ran at the Paramount to sold out audiences of all colors and stripes and put the CART name onto the front burner. John was subsequently appointed Chair of Trustees, and handled that key leadership role with dedication, intellect, imagination, and tenacity. With funding difficult to secure and always at risk a small NGO such as CART always faces headwinds and choppy seas. Sometimes we encounter perfect storms and we’ve just passed through one and are about to face another. Our Board works pro bono and generously give of their time. The going can be tough, and John faced some tricky challenges in his time as Chair. John is 79, youthful, energetic, and sharper than ever, as witness that in the past three years he has written and a produced a play, has published a schooldays memoir, and has yet another life-changing book with a New York publisher. Right now, John is heading off to New York again for several months, having been invited to run a series of programmes for ‘at risk’ Harlem youths. The downside for us is that John has chosen this time to resign from the CART board. Happily, he leaves us with a clean slate following a deep audit going back five years. Yet, as I say we’ve got more challenges ahead. John’s dad, Jack Wareham was a nuggety winger for the Wellington representative rugby team. Like his father John is quick of wit and fleet of foot. The necessary play of the day is to bring the ball back into the forwards and set up a rolling maul. As an old man prop, I’ve willingly accepted the pass from John Wareham. I’ve let him know I’m going to run it up the guts, hard. He’s done his bit. We wish John and Margaret well in their fresh effort abroad, and on his return home we will have an after-match drink and reflect on the game just gone. Then we will set out preparing for a fresh match, John’s nascent pilot project to reduce recidivism in our nation’s prisons. In the Year of the Pig (“Happy as a pig in xxxx” springs to mind), I’m moving on from my Brexit rant as promised. 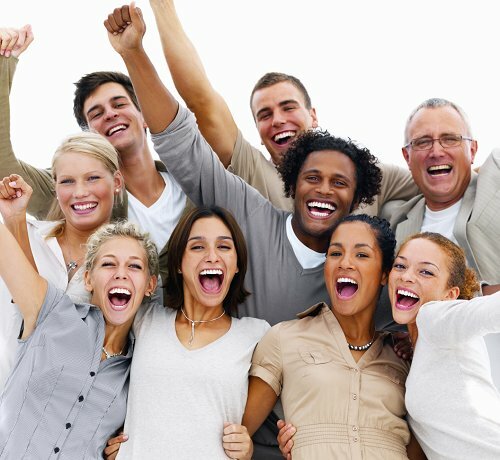 There’s a movement sweeping the globe – from academic institutions, management consultants, think-tanks and media commentators – The Happiness Movement. Of course all these people are obsessed with counting it, measuring it, and developing metrics and league tables for it – which takes away some of the Happiness as far as I’m concerned. Maybe you’ve already seen where your nation, town, company ranks in its particular league table or maybe you haven’t. Either way, this isn’t about measuring Happiness. It’s about doing it. · Spend more time with Family, friends and most importantly on You. · Life Life Slow. Live in the now, not yesterday, not tomorrow. Focus on living in the moment. · Live Life, Love Life. Be grateful for what you’ve got, not what you’ve not. · Finish work early – and don’t tell anyone. Nip out at 1pm Wednesday for a decadent lunch with friends – and don’t think about work. · Wear trainers every day for work and play. · Listen to The Beatles – their early, happy-go-lucky stuff – Sgt Pepper and before. · Write something physically with a pen – a letter, a poem, a song, a blog. · Give someone you care for something they’d never have bought themselves. · Go for a solo walk by the sea, or in the woods – off season. · Binge on an entire series of your favourite guilty pleasure TV show. · Watch Guardiola’s Manchester City at The Etihad. In Darkness comes light. Through adversity comes strength. 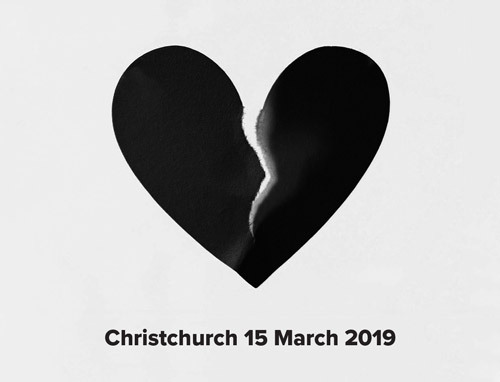 The tragedy that New Zealand suffered has been one of total shock, out of the blue and incomprehensible. A nation mourns. Yet the nation rebuilds. There is no division, there is only unity. 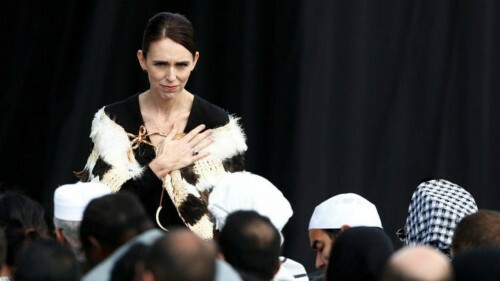 And Jacinda Ardern leads that unity and is redefining leadership. 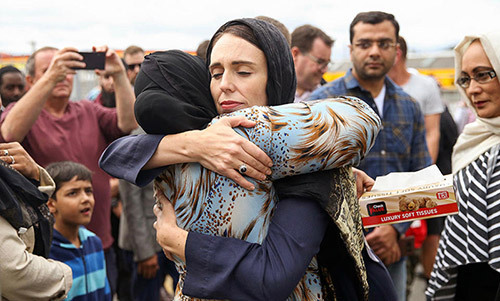 With more than 5 million kiwis globally, they all feel the pain and the grief that the incident caused. Actions are already been take on gun control, donations have already reached record levels, today Hakas are popping up all the over the country. This is how a nation stands strong in adversity. Together and as one. The country is a different place to one it was this this time last week. But it will be a stronger one soon. I’ve resisted the temptation to rant for so long. Too long. It’s David Cameron’s fault. He should be locked up in his writing shed until it’s all resolved. 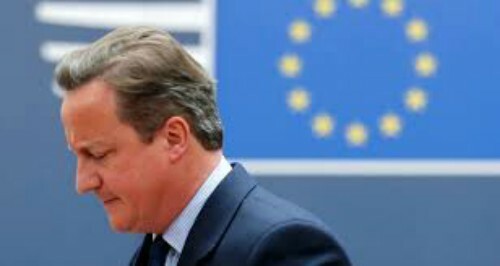 · His arrogance in calling a referendum – a dereliction of duty. 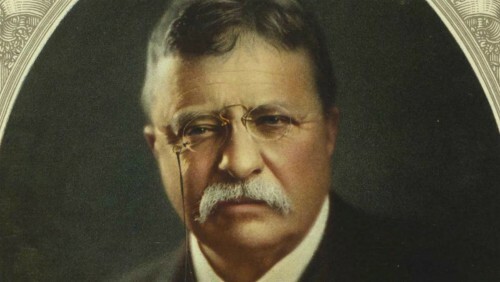 · His decision to step down and avoid the calamity he wrought on an unsuspecting nation – an act of supreme petulance. · His naivete in setting the bar at 51.49 instead of the US model of 66.30 – almost criminal. I am just so pissed off. Normal service (Radical Optimism) will be resumed next week. 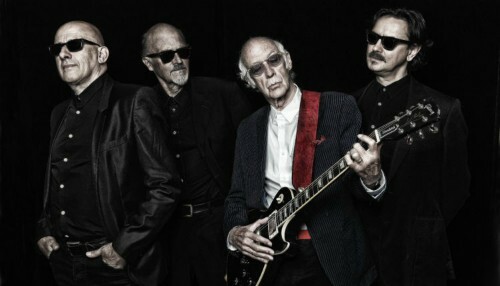 Liverpool poet, member of The Scaffold, founder of The Mersey Sound, President of The Poetry Society, CBE and a Freeman of the City of Liverpool, Roger McGough is performing his new book ‘joinedupwriting’ at one of my places of work (Lancaster University) on Saturday 30th March with his band LiTTLeMACHiNe. This’ll be the first performance of the new book, at 81 years young – his 75th published book. (Come on you slackers – get writing!!!) Roger says it’s his first performance of the new book and he’ll be reading some poems for the first time. About death, politics and serious stuff – but mainly like they’re funny!! One of Britain’s best loved poets. A hero since I was 15.